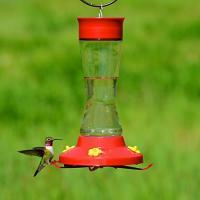 The feeder works well and is easy to clean! I bought more for friends and neighbors. I like it and a good product! This item was purchased for a Christmas gift. I have one of my own and like it very much. We had a bee problem with another type feeder we had and this one sure took care of that situation. 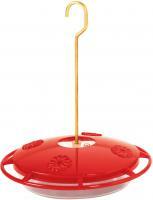 We love our Hummzinger mini feeder. We filled it and just set it on the railing of our deck. Within 24 hours the hummingbirds found it. Two pairs now visit it several times every day. 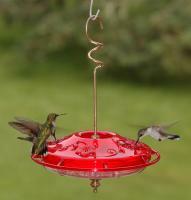 This feeder has worked out great for us. We have simply set it on our deck railing and it has stayed there through numerous thunderstorms. 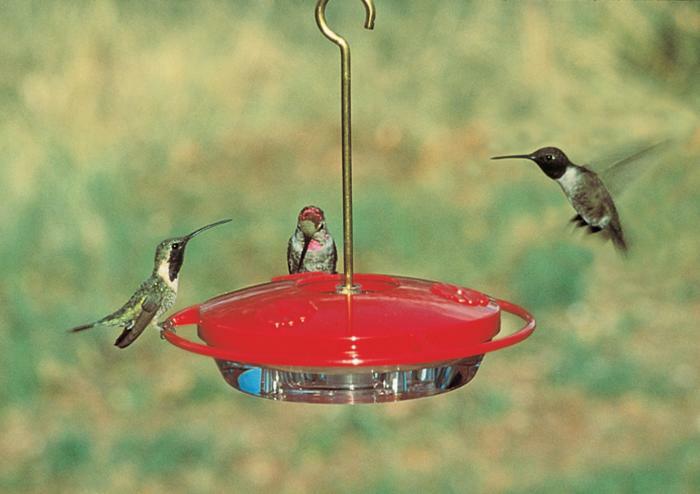 A hummingbird started feeding at it within 24 hours or putting it out. 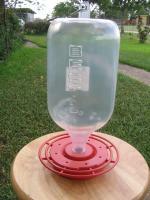 This is the perfect hummingbird feeder! It is well designed, easy to use and clean. I highly recommend this feeder! 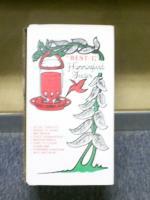 The Humming Birds love it. The ant protector and mount works great!